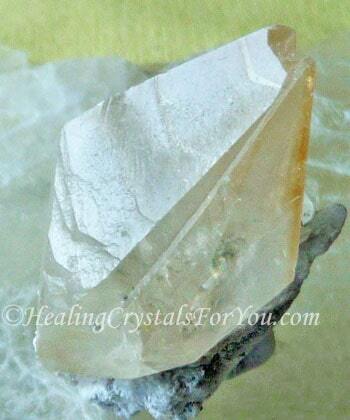 Stellar Beam Calcite is a high vibration crystal that has a quite beautiful energy. 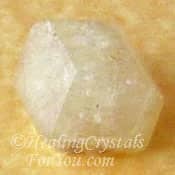 This crystal may be classified as an ascension stone, as its vibration has a strong spiritual nature that helps you to make a deeper connection with the Divine. It energy is calming and when you use it in meditation you may find that you slip into a state of immense peace and harmony. This commonly creates a situation where you enjoy a truly beneficial session. The result is that when your meditation is finished you may feel much less stressed, and more able to cope with your day to day activities. I personally like to use it at night, when I don't have anywhere to go, as it takes you so high that it can make you ungrounded. An added bonus is peaceful relaxed sleep afterwards. 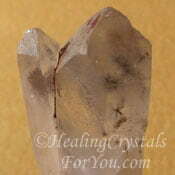 This crystal is also called Dogtooth Calcite, due to its shape. These stones are commonly double terminated, many with long sharp points on them, and they can occur in size from tiny crystals all over other types of crystals or as larger pieces. 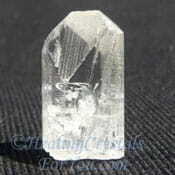 The meaning of the name Stellar Beam Calcite relates to the way it is said to be able to be utilized to make a connection with extra-terrestrial beings, due to the powerful beam of energy it puts out. Most of the pieces of this stone originate from Tennessee in the USA. Although I have not heard of any other places where it can be found, new sources of many stones are being discovered on a regular basis, and not all places of origin are noted on stones. 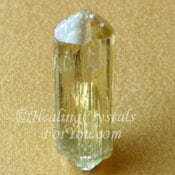 Although many pieces of this crystal are a lovely golden yellow color, its color can vary. 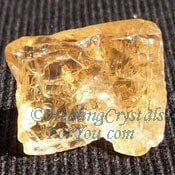 The color range of these crystals includes deep amber yellow, bright clear yellow, pale yellow and very light yellow almost white stones. 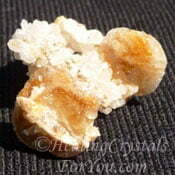 Like other types of Calcite it has a smooth almost soapy feel to it. 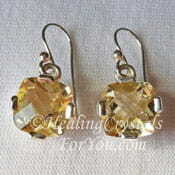 They often have inclusions of pyrite in them too, which you may glimpse on the bottom of the picture below. 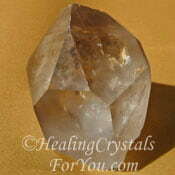 They are classified as being scalenohedral crystals, which means that they have a number of faces. Each of these are scalene triangles, meaning they are triangles that have all sides unequal. It is also common for them to be Elestial Calcite crystals as well, and this adds another dimension to the energy if your specimen has this configuration. These crystals are extremely high vibration, yet they don't have an effect on the nervous system like some high vibration crystals. While their energy is very high, as it is so beautiful and relaxing and calming you may not recognize that your energy has changed so please take note of this before you use them. This is an extraordinary crystal, that has a strong action in all chakras in the body, as well as within the soul star chakra and the higher transpersonal chakras in the etheric body. 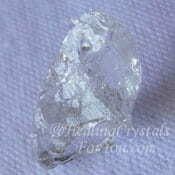 One of the best ways to use high crystal energy stones like these, is in meditation. 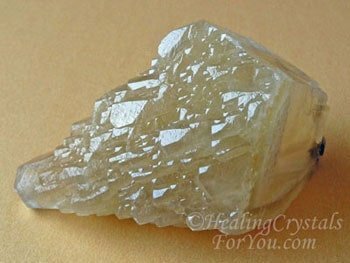 When you use this crystal in meditation it creates a state of deep serenity, as it brings the golden light down from the higher realms. This energy will move down through your entire chakra system to infuse you with this strong spiritual vibration. 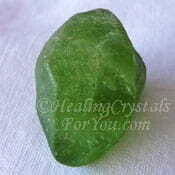 Its action feels similar to high crystal energy stones like Tremolite, Herderite or Phenacite, and you can feel it moving within various areas of the brain. Although it may be new to you it is quite agreeable. 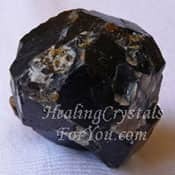 This crystal makes a powerful connection to spirit, and you can feel the energy quite clearly in your head, and you may be aware of its action in your brain. They are powerful to create connections with the higher realms, and are powerful to use in meditation. More than likely using one of these crystals will make you ungrounded. So when you finish using your Stellar Beam Calcite, make sure that you ground yourself. How Will It Help You? If you use it in a crystal meditation, it may benefit you in a number of ways. 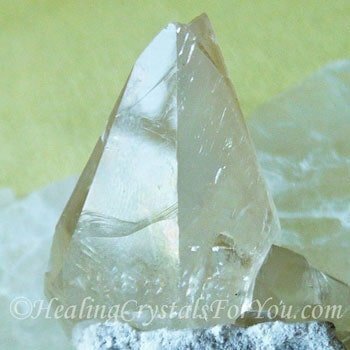 This is a crystal that will elevate your spiritual growth, and because of its recognized action spiritually, it is known as one of the premier ascension stones. This relates mostly to its action to take you very high into the spiritual realms, and to the way it enhances your contact with the Divine mind and with beings in the higher realms. It is also known to aid you to make contact with beings from other dimensions or star systems, what we call extra-terrestrials or ET's. It has been reported that if you have past lives in Lemuria, Egypt and Atlantis, and most of us do, you may discover information that may help them to release karma related to those lives. 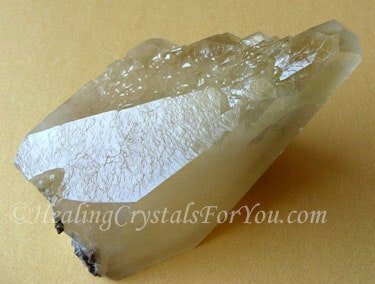 Stellar Beam Calcite will aid you to walk the corridors of light, and while there you may find that you can access information about past lives, within the Akashic records. 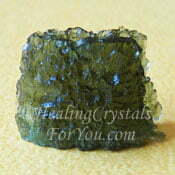 It can be helpful for mediums to use to contact spirits with greater ease. 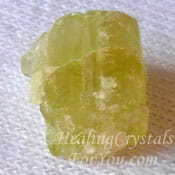 It has a high sweet vibration that commonly facilitates an easy connection with angelic beings. 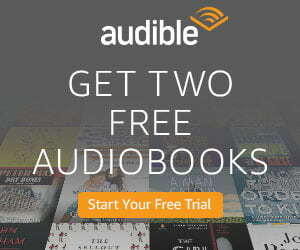 There are special guides that may be located in these realms that are not normally accessed by the average person. These guides may be able to help you to accomplish growth not available easily to the average person, unless they particularly seek out ways to meet these special beings. 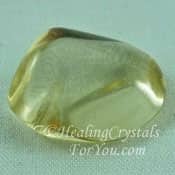 If you have not made contact with your spirit guides before using this stone, it is highly possible that its vibration may help you with making a connection to your spirit guide. If you already know your guides, it may help you to find new guides that will move your spiritual growth to the next level. 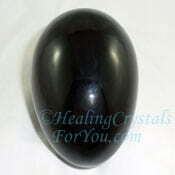 This stone's vibration takes you easily up though the higher chakras. You will move upwards via the third eye chakra and through the crown chakra to the transpersonal chakras above the head. Its vibration resembles the energy when using some of the other high vibration crystals that are known to have strong action within the brain. If you place your Stellar Beam Calcite crystal at the solar plexus chakra, you will feel its energy move up through each of the chakras. On many occasions I saw beautiful colors including both golden light and beautiful blues and magenta swirls. It resonates strongly as it moves up through the heart chakra and thymus or higher heart chakra bringing a surge of loving energy through as it moves higher. Using it here also aids you to gain a greater awareness of Divine Will, and may help you to discover what life path was planned for you, prior to coming to this life. Once it takes you above the crown chakra you will find you slip quite easily into a very deep meditative state. You may find that your brain waves will slow down almost immediately. As you attune with the energy your brain waves may slow to the theta state, and this is the state in which you most easily make contact with beings from these higher realms. You may find that your guides just seem to be one with you, like they are merging with you, to guide your journey into the higher realms. It is such a peaceful and harmonious energy that draws you along corridors of light, almost like in a dream state. 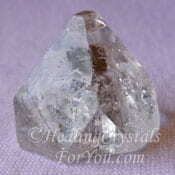 The Elestial Calcite has some specific characteristics that make it different to the other types of dog tooth calcite. 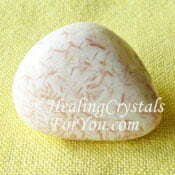 These stones are very supportive of spiritual change, and may help you to discover information in the higher realms. 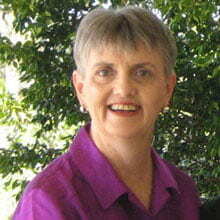 You can then return fully aware and knowing the meaning of what you experienced. It is said that it also helps you to release issues that my be causing problems in your life. This is because you gain an understanding of the reasons for what has happened, the soul lesson that is related to the issue. 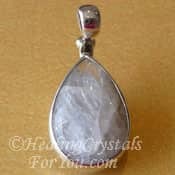 This stone provides emotional healing, as they may aid you to let go of stress and fear that has dogged your life. This is because you become aware of the reasons for some of the things that have happened to you. They also have a good healing action both emotionally and spiritually but they are not really a stone for physical healing. 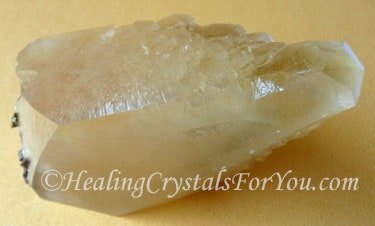 If you have been undergoing emotional problems, a good way to utilize this variety of calcite is to stroke it through your auric field. This is very helpful to do after you have undergone any type of spiritual or metaphysical healing, or spiritual training, as it may help to remove any remaining negative energy. It is also good to use in the center of a grid, specifically set up with intent to release past life karmic issues or for any other purpose where you'd like to use it for, to let go of problems from the past. If you are a healer, it can be used in the center of a grid in your healing area. You may also like to grid the place where you meditate, to allow a deeper and more spiritual meditation experience. Also use grounding crystals to help you to get back to normal. Before bed is a good time, as it will help your sleep to be calm and restful. 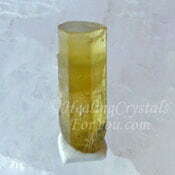 Use some of the high crystal energy stones in the grid if you wish your spiritual growth to move forward more quickly. 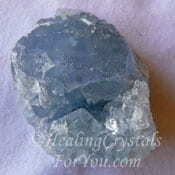 This is a truly beneficial crystal with a beautiful energy. Stellar Beam Calcite is a powerful crystal that resonates strongly within all of the chakras but within the higher chakras in particular. 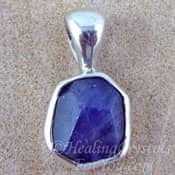 This stone's vibration aids you to travel within the higher realms and may facilitate contact with the Divine, and is a crystal that encourages contact with angels and your spirit guides. It is a very relaxing and calming stone, but remember that it may make you ungrounded, so use it when you haven't got to go anywhere. "What lies behind us, and what lies before us are tiny matters compared with what lies within us." Oliver Wendell Holmes. 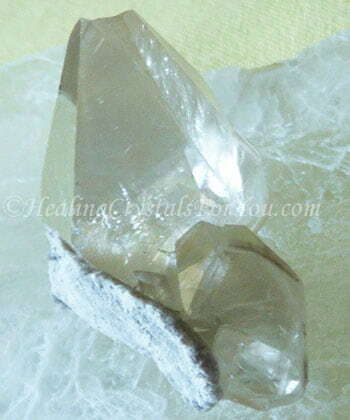 Nirvana Quartz aka Himalayan Ice Quartz is one of the high vibration stones that you may like to use it with. 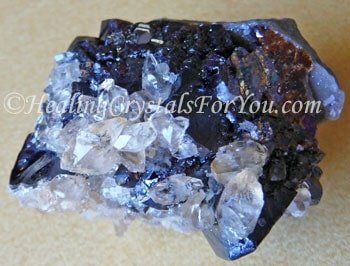 The mixture in the crystal above, on Sphalerite, is quite good as it grounds excess energy as you use it. I don't know how common these crystals are, but I wanted another one of these crystals and found one on Sphalerite, just by coincidence! 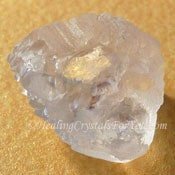 As this is a high vibration crystal, it is advantageous to combine it with other high crystal energy stones if you are using it to work on your spiritual growth. 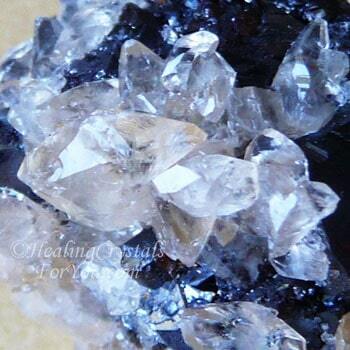 Other high crystal energy stones to combine with it includes stones such as Scolecite or Petalite, which have a loving heart based energy, Rhodizite, Star Hollandite Quartz, Moldavite, Blue Celestite, Danburite, Tanzanite and Clear Apophyllite. If you want to accentuate its action to open new pathways in the brain, include stones such as White Heulandite, Herderite, Phenacite or Natrolite in your meditation. These stones will both stimulate the brain and will also have a positive effect on your spiritual growth. 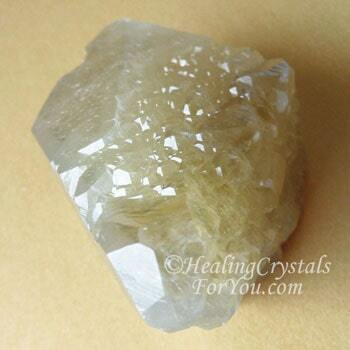 Like many other stones that have strong resonance within the solar plexus chakra, Stellar Beam Calcite have a good energy to aid abundance and prosperity. Combine these crystals with other abundance stones, to aid you to manifest those things you desire. Use abundance stones such as Golden Labradorite, Citrine Crystals, Brazilianite, Heliodor, Yellow Apatite, Peridot or Golden Yellow Topaz. As this stone has the propensity to make you ungrounded very easily, you may choose to use some of the stronger spiritual grounding stones after you have finished your meditation. Good choices could be Black Tourmaline, Pyrite, Black Obsidian, Smoky Quartz or Black Andradite Garnet also called Melanite Garnet.